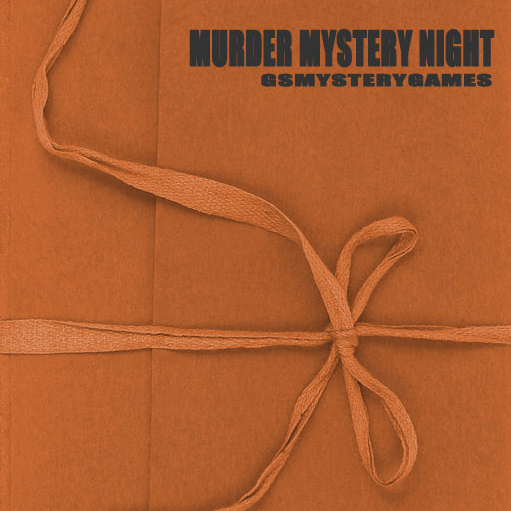 We stock a wide range of murder mystery games - from pick-up-and-play kits that are ideal for first timers, to freeform and mystery theatre games for more experienced hosts. We’ve even got murder mystery parties for two players! Here’s a quick guide to the different ranges we sell. 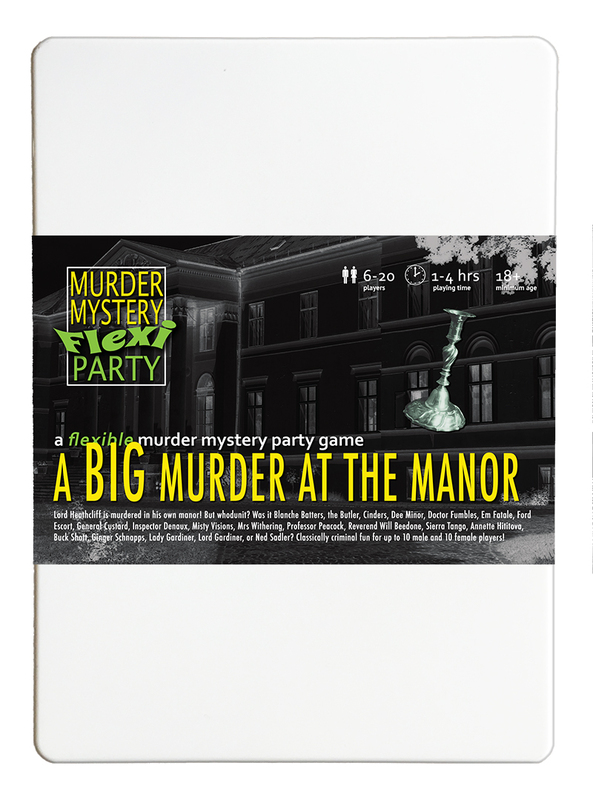 Murder Mystery Flexi-Party games can be played with any number of guests within the stated range and a flexible mix of male and female guests to suit you. They also still work if a guest has to drop out at the last minute or you find yourself with unexpected extra guests. They’re easy to play, with a traditional question and answer format plus evidence. This range includes family friendly games as well as games that are definitely adult only. There are even some special Young Adult Editions especially for teenagers. Classic Murder Mystery Party games are easy to prepare and play, with 10 fully scripted question and answer rounds plus clues and evidence. Previously available selling 1000s of copies on the high street, all of these games come with optional video evidence (not required to solve the mystery). Suitable for both sit-down meals and 'buffet style' parties where guests can freely mingle - but be aware you must have the correct number of players as all characters are required. Recommended for ages 18+ as some of them can get a bit saucy! 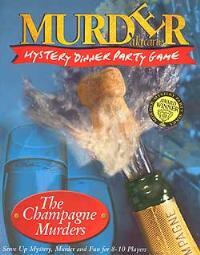 Murder à la Carte games (rebranded as Inspector McClue) are designed to be played around a dinner table. They feature 3 main question and answer rounds, interspersed with clues and short scripted dialogue exchanges. Some come with audio CDs, some with DVDs, but in all cases it’s necessary to play the disc to solve the murder. Murder à la Carte games always include two optional characters so, for example, a 6-8 player game contains 6 main roles and 2 smaller roles. Suitable for 12+ and polite company. Murder Mystery Theatre games are ideal if you’re looking for a murder mystery party that’s out of the ordinary. These games contain fully scripted scenes that you and your guests act out just like a play. 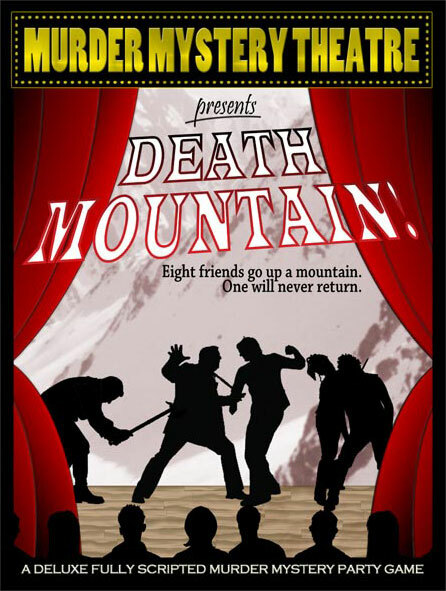 Only four actors are on stage at any one time so the ‘audience’ can be just the other guests or a packed village hall (perfect for fundraisers)! One character will be murdered but then still performs in ‘flashback’ scenes. Suitable for ages 13+. 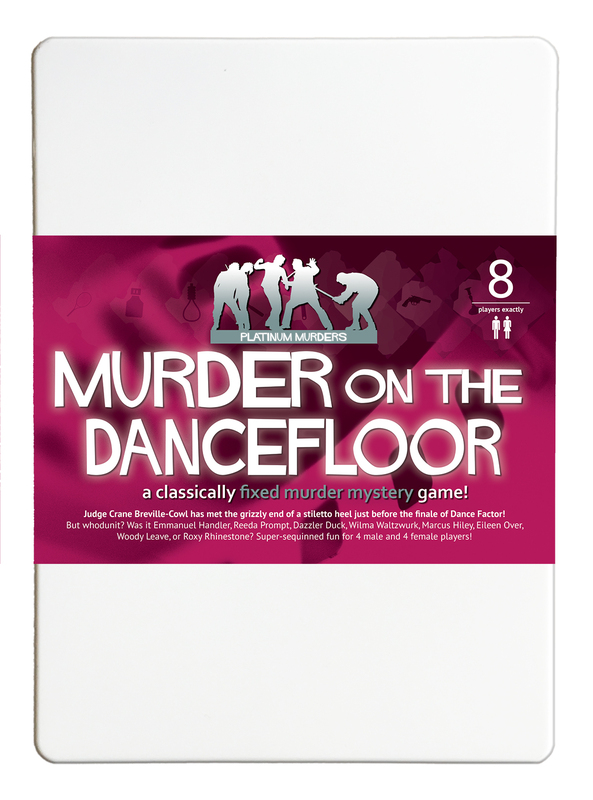 Ultimate Murder Mystery games can be played with any number of guests within the stated range. They’re freeform games which means players are given character descriptions and have to improvise their roles - guests are also given ‘secret tasks’ to perform during the party. We usually recommend these for experienced murder mystery hosts who would like players to have a bit more freedom about what to say as there's a bit more preparation required than usual. Suitable for buffet style parties and players aged 18+. 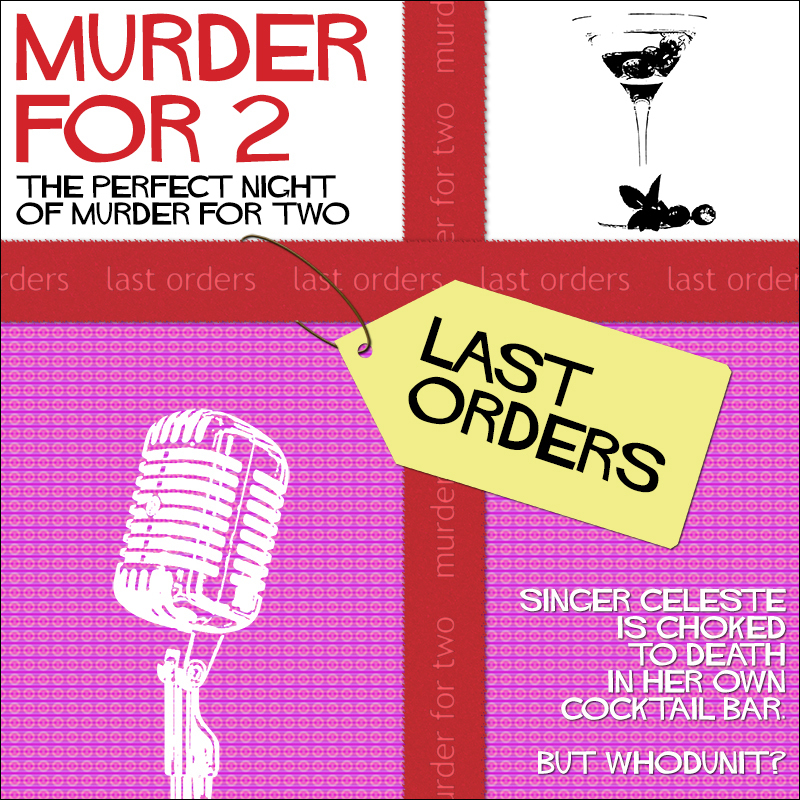 Murder For 2 is a range of fun murder mystery party games for couples. With 2-6 characters to play, dress-up suggestions and funny accents, there’s no need to invite anybody else. Start with the standard version then try a Sleuth edition for more in-depth detecting! Contains adult themes. For 2 players (one male, one female) aged 18 and up. 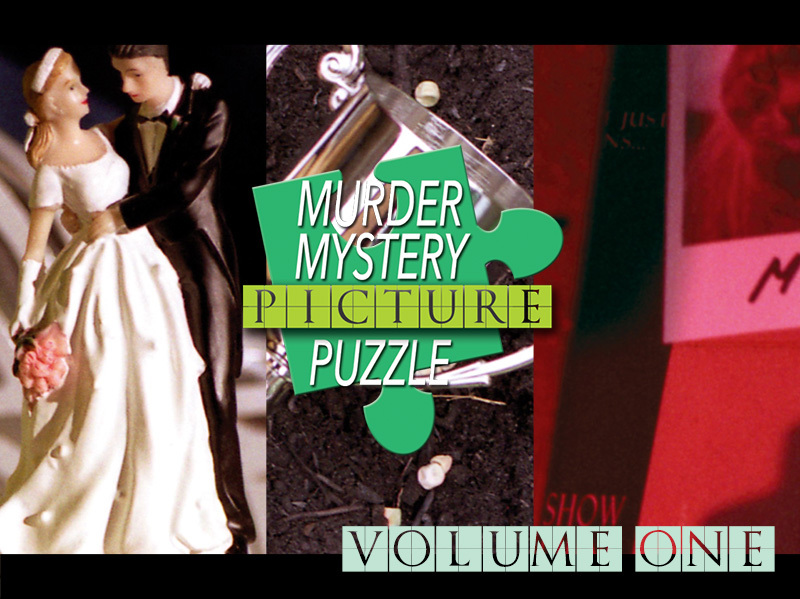 Not a party game...these downloadable kits contain a short murder mystery story, a large evidence photograph, AND a crossword! Read the story to find out who's been murdered and who might have done the murdering. Then study the picture for the vital clues that will help you crack the case. Finally, complete the crossword puzzle to reveal the solution. Suitable for teens to adults.